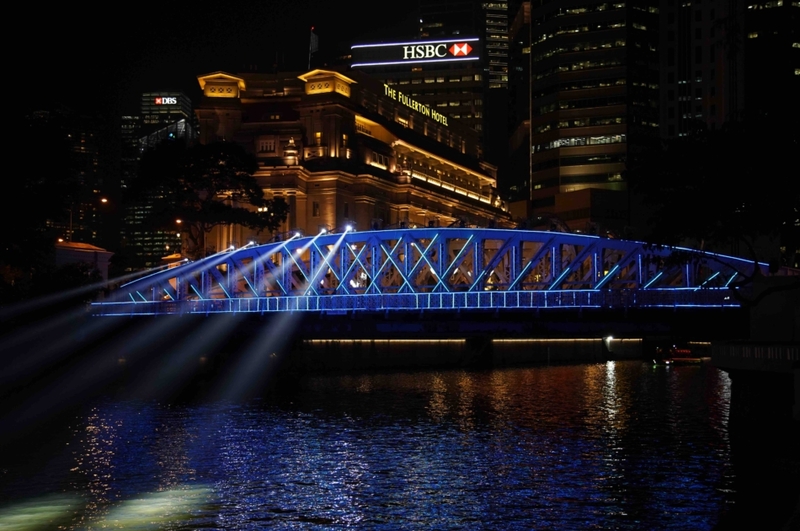 “Time Rhythm” is an installation on the Anderson Bridge, in Singapore. 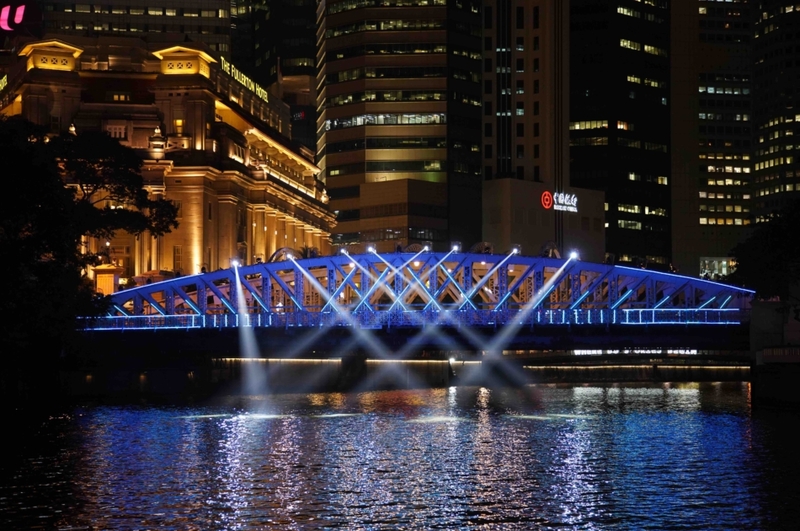 It was part of the 8th edition of "i Light Singapore festival". 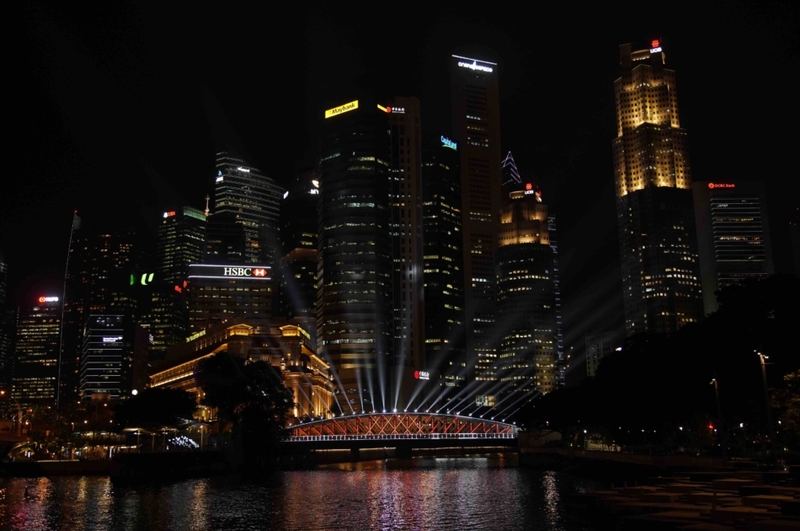 It is based on the three concepts that define the festival: “time” in reference to the commemoration of the Singapore Bicentennial, “water”, as an element that joins all the installations of the festival, arranged around the pier of Marina Bay and “music”, as the universal language of connection between the cultures. It implied a huge technological challenge: made of 400 LED digital light bars, pixel mapping, and 25 movable heads, synchronized with the music. 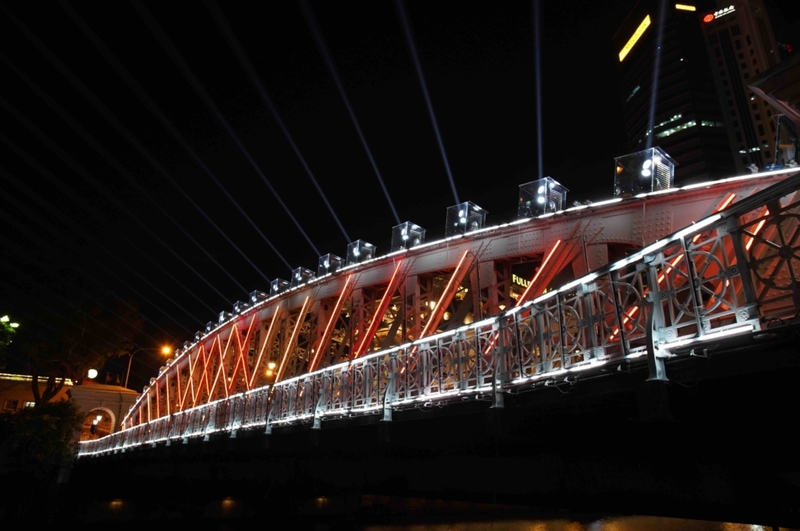 The entire Anderson Bridge, presented as a gigantic light metronome was transformed into a musical instrument thanks to the beautiful compositions by Zinkman.